Extensive southern forested wetlands provide important ecosystem services. A study of five typical forested wetlands across the Southeast suggests that these wetlands will likely become drier or may even disappear by the end of this century under severe climate change scenarios. This information can help land managers develop climate change mitigation and adaptation methods to protect these important natural resources. Extensive forested wetlands found in the southeastern U.S. provide important ecosystem functions and services such as timber supply, water quality improvement, recreation, and wildlife habitat. However, they are at risk due to ongoing changes in climate and land use. 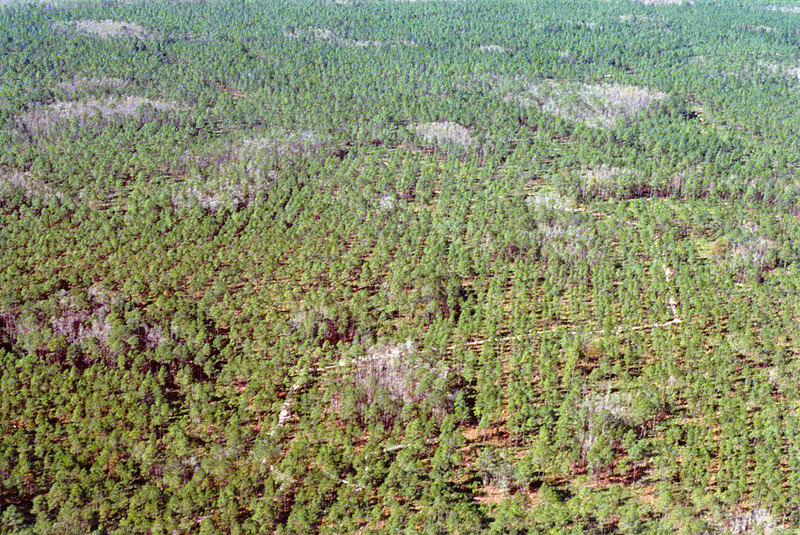 Eastern Forest Environmental Threat Assessment Center researchers and partners examined five typical forested wetlands across the Southeast including cypress swamps, pine flatwoods, Carolina bays, drained pocosins, and natural bottomland hardwoods. They constructed a series of models to relate observed water level fluctuations to historic climate and then applied the models to predict future water levels under 20 different climate change scenarios. Compared to the historic period, all five wetlands are projected to become drier, and some may even disappear due to projected shifts in precipitation and ecosystem water use. This information, published in the journal Hydrology and Earth System Sciences, can help land managers develop climate change mitigation and adaptation methods to protect and manage these important wetlands.